In this new addition to the Old Testament Library series, Graeme Auld writes, "This book is about David." 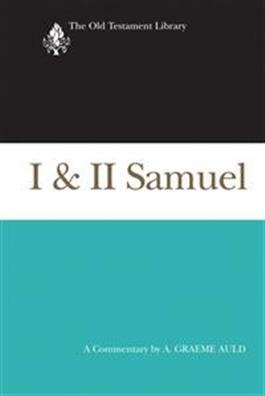 The author demonstrates how all the other personalities in First and Second Samuel--including Samuel, for whom the books were named--are present so that we may see and know David better.These fascinating stories detail the lives of David, his predecessors, and their families. Auld explains that though we read these books from beginning to end, we need to understand that they were composed from end to beginning. By reconstructing what mus thave gone before, the story of David sets up and explains the succeeding story of monarchy in Israel.